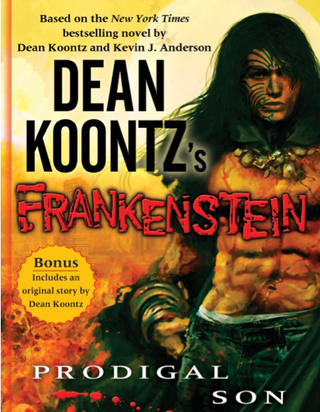 Dean Koontz's best-selling Frankenstein series, which features androids, an evil biotechnology firm, and an inked-up iteration of Mary Shelley's monster, will become a huge movie set in 21st century New Orleans. In Koontz's take on Shelley's horror classic, the original Dr. Frankenstein is living in the Big Easy under the moniker Victor Helios, CEO of the biotech company Helios Biovision. Frankenstein is immortal and apparently conspired with some of the worst dictators of the 20th century to create a "New Race" of synthetic supermen. The heroes of the piece are Deucalion - the monster from Shelly's original novel, who received sweet tats from Tibetan monks and has, uh, the power of teleportation - and Carson O'Connor and Michael Maddison - a duo of New Orleans homicide detectives plagued by their simmering libidos. Ralph Winter and Terry Botwick of 1019 Entertainment will produce the movie version. The fourth Frankenstein novel, Lost Souls, hits shelves June 22.